TORONTO Canada – Canadian Jeff Nelsen, Professor of Music (horn) at the Indiana University Jacobs School of Music, has rejoined the world-renowned Canadian Brass, while continuing his teaching at the Jacobs School. In Nelsen’s words, “Inspiring others through both performance and pedagogy, with two of the preeminent institutions in the world, is such a rich combination. Our Canadian Brass Collection of recordings and scores, for example, found a home at the Jacobs School Cook Music Library about eight years ago. I am delighted to be able to continue to embolden brass music’s artistic contributions for the next generations of musicians. I cannot imagine a better harmony of mission than sharing deeper connections between Indiana University Jacobs School of Music and Canadian Brass with the world.” Paraphrasing the famous coach Vince Lombardi, individual commitment to a group effort is what makes an ensemble work, a school work, a society work, a civilization work. “These past four years in Canadian Brass have been incredible for me in every way. I never thought that I would be able to rejoin this stellar ensemble! Although I will miss making music with my good friends, and I will dearly miss the fans all over the world, it is necessary for me to step down now to focus on my family, my horn studio at the University of Illinois, my new role as artistic director of Cormont Music and the Kendall Betts Horn Camp, and my solo projects. I wish the group all the amazing success as they soar into the future. I am so grateful for all of the wonderful friendships and collaborations I have had through the group, and there are too many experiences all over the globe for me to recount. Words really can’t express all the mix of emotions I feel. Now it is indeed time for me to start the next part of my journey. I send all my love and admiration for the most incredible chamber music group on the planet. Great group. Welcome back. Hope to see some new CD’s soon. Best. Nice! Such a hard working group of remarkable people. Looking forward to hearing you together soon. Cheers! 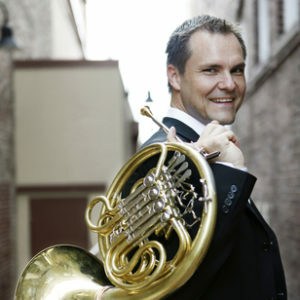 Congratulation to Canadian Brass for their choice and to Jeff for returning to them! your show in Chambersburg Pa. was great tonight I asked a friend to come with me and she thanked me said yyour show was great!! Just watched the Ted talk Jeff gave. Fits right in with self-esteem and self-worth. Now I’m double impressed with the gift of sharing I witnessed onstage in Missouri last night. Bravo to ALL the Canadian Brass. You’ve made Great Choices and Fearless Performances! Thanks so much for sharing your gifts with all of us! One of the joys in life is introducing a friend to the ‘Brass!’ The concert at Brigham Young University last night didn’t disappoint and my friend and I were both delighted. A suggestion for a new CD: Brass Tracks to play on your way home from the concert! Help extend that happy feeling!